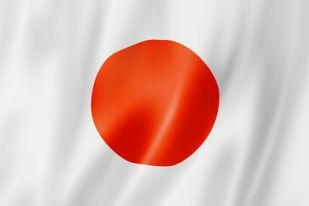 Is Japan on the Verge of Going All-In with Casino Gaming? When it comes to gambling, most people in the United States and many other countries such as Canada and Mexico think of Las Vegas, Nevada, and for good reason. Las Vegas was the first city in the US and one of the first in the world to take gambling off the streets and legalize it for everyone. Now it seems that Japan wants to join in on the oddsmakers’ business. For many years, Japan, along with South Korea and China, frowned upon any form of gaming. However, as legalized wagering grew in many countries over the past thirty years, China and South Korea both softened their stance on wagering and it seems to be paying off. With billions of dollars in revenue being made in both China and South Korea since they opened the door to legalized gaming, the Japanese government may finally be willing to join in on the action. In 2016 Japan changed their stance on legalized gaming when they noticed how many natives were leaving the country and taking their hard earned money with them. Whether it was a permanent move or just a week getaway vacation, the Japanese government began noticing that more folks were leaving and fewer tourists were coming in. That alone was one of the first indications that the Japanese government knew they had to do something quick to try and revive tourism. While Japan does offer legalized horse racing and slot machine play, the government knows that to really give the economy a big boost they need to up their game, and that looks to be happening soon. Is Japan on the verge of becoming a city that resembles Las Vegas? Time will tell. However, the government recently passed a bill granting building permits to construct three casino resorts. This in itself could be a huge step for Japan in bringing in millions of dollars per month. Reports indicate that each casino resort will contain state of the art hotel sleeping accommodations, entertainment, convention centers and of course fine dining that will rival most top restaurants in the world. This move would be a significant move for the Japanese in growth in the gaming industry. Even with the limited legal gambling Japan now offers, patrons have never been able to gamble in casinos. While bringing in gaming on a much larger scale has been on the forefront for the Japanese government for a while, it does come with its share of critics. Japan’s population sports some of the richest in the world, yet the naysayers are out there. Government surveys have indicated that millions of natives already have a gambling problem with the forms of gaming that are legal and adding more options could only cause more issues. That being said, the possible surplus and spike in the economy that could follow may be too much to resist for the tourist industry to reject. Slot machines, known in Japan as Pachinko, already generate 22 trillion yen each year, and that number should more than double in the future when the casinos are constructed. Besides the obviously increased money flow to the country, the newly constructed casinos could increase business conferences, something Japan really needs. Japan has seen a decline in tourism each year since 2011, and the new resorts could bring a nice shot in the arm to the economy in more ways than just wagering. With companies such as MGM Resorts and the Las Vegas Sands already expressing interest in future projects, it seems to be just a matter of time before Japan joins the ever-growing gaming industry on a much bigger scale.